In case you are curious, here is the same render with reflective cubes. and here we have a wholely Bryce manufactured scene, 100% Bryce no added fillers, by products, or preservatives. outstanding stuff David, lots of great information to absorb there. something different from the space images.. the outcome of randomly clicking on things with structure synth. Very nice. The backdrop looks quite similar to the Indoor HDRI that came with the Bryce content. 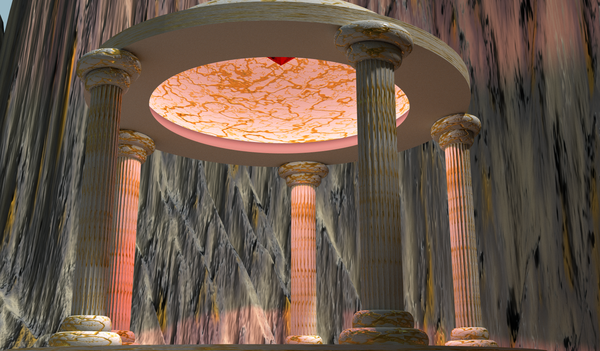 Or like the Wings3D building in this tutorial http://www.horo.ch/raytracing/tuts/online/tut14/minitut14_en.html but of course, it can be something different. I haven't tried any that came with Modo, at least I haven't tried them in Bryce.. 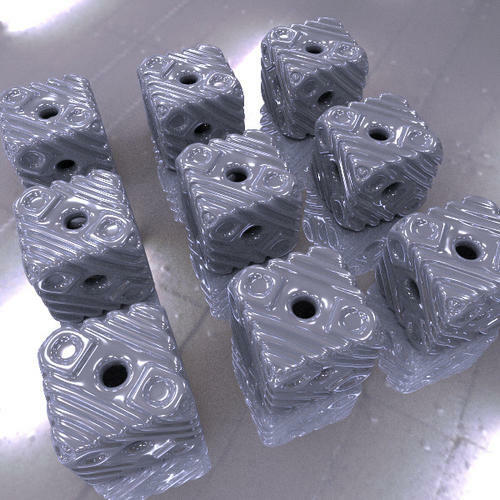 I used my trusty Spherical Mapper but if you don't want to part with any money, you can achieve the same results by assembling six cube faces. Horo has a tutorial on his website. It's a bit fiddly that way, but the results are slightly more accurate. Then again, re my comment above. Ease of use wins out for me. @Rareth - the latest one is also very nice. Thanks for the clarification about the backdrop. Now could we do that in Bryce I wonder. Yes but... combined with fancy lighting... render times are going to be... significant. David...this sperical mapping technique looks very promising. 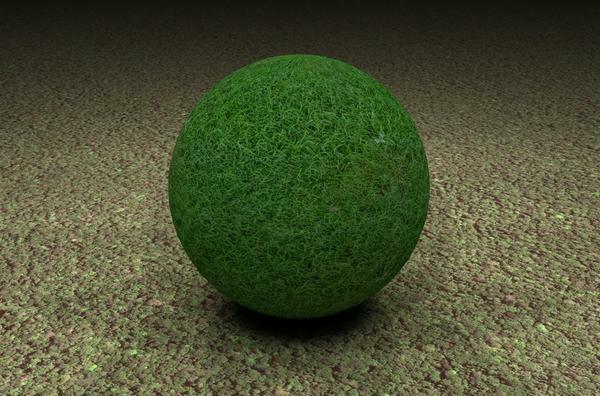 I'm still uncertain as to what it can do as it looks very techy for my limited experience in Bryce, but are you saying that it is now possible to sperically map something like a 2D, grayscale bump map onto a sphere, which would then render as a 3D version? Sorry if this sounds like a stupid question. Yes you could do that too. One of the problems we all face with rendering is that as the complexity of the render and the render method increases so does the render time. Being able to turn 3D space into 2D space and then project it back into the scene and make it look 3D is a good way to save time - but always as a compromise. Spherical mapping is one way of achieving this, before I've used the spherical maps as backdrops to scenes, but in this case, I thought it was an interesting experiment to put them inside the scene and at the same time explore a bit how reflection mapping works. I admit it is a bit of a mind bending exercise if you come to the topic cold, but hopefully I'll be able to turn the process into a method that does not really require any understanding. Just an ability to follow the steps. I've made a start, mat needs tweaking, as it was included in the pro content. David...aha...that looks very promising - will have to look into it more then as it's something of interest to my needs. Many thanks. Off now to watch your Nuts and Bolts vid. 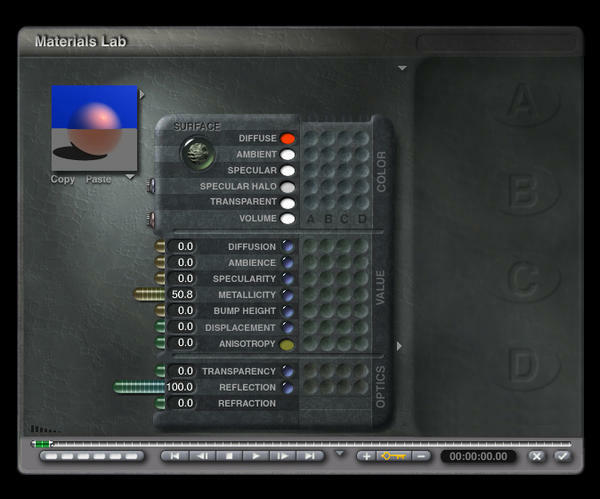 not sure what he means by metalized glass, still working on the shader mat in bryce..
yes I was wondering about that. Metals have the property of tinting the reflection, glass and other "non metals" do not do this and their reflections relate to the colour of the object light being reflected and is unmodified. 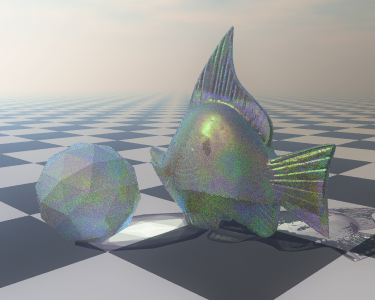 If you want to make a glass reflection behave more like a metal reflection then you can tint the reflection with the metallicity. 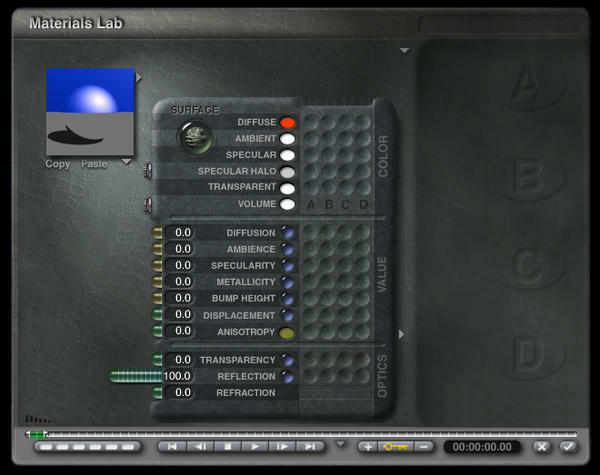 This takes the colour of the diffuse channel and uses it to modify the colour of the reflected light. 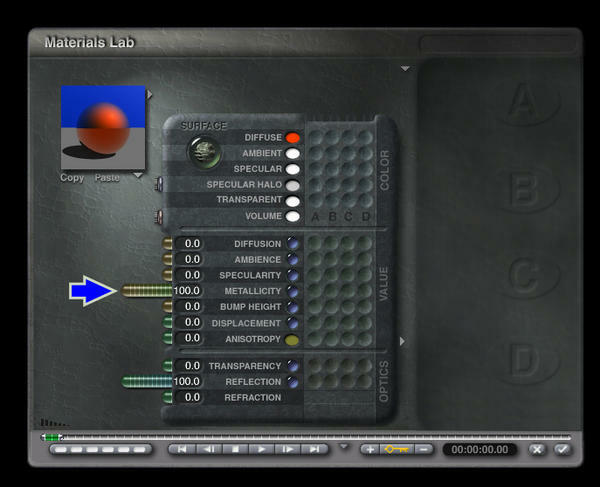 There may be some glasses in the real world that have a metalic coating? I don't know. Like baubles for example? Anyway, that's a possibility. There may be some glasses in the real world that have a metalic coating? I don't know. Like baubles for example? Anyway, that's a possibility. Baubles are painted (often) from inside with thicker paint layer. I'm always thinking of them as a metallic spheres with coloured glass (or transparent glass with another semi-transparent) coating. There's also a material that is called 'iridescent glass' - which have thinner (sometimes uneven) layer on top that is like an oil spill coating. I thought about trying this image not long after completing the entire scene. But CRS kicked in and it just now left, thank goodness. :lol: Anyway, I've moved the camera in close to the temple, so a bit of the stone in the center of the dome and details of the temple can be seen. I like how the temple turned out with this view, but I'm not real happy how the mountains rendered. Seems to me the cragginess of them would be more pronounced with the camera setting closer. I tried editing he terrain, rotating the material, but still not happy. Any suggestions would be welcomed. @David: I keep forgetting to ask, in the basket weave images, do I understand that is mapped material on those objects? I like their look, and was wondering how the weave was accomplished. Rareth – the skyscraper is very nice. I agree with GussNemo 5 minutes for someone who knows Booleaning. ;-) I like the dolphins, the last one is superb. Michael – another stunning image. David – your experiments are very informative. One day, I hope in the near future, I will understand it all. GussNemo – the lighting is cool, nice camera position. @Rareth: Thanks. I was rather surprised how well the lighting turned out, once I moved the camera closer to get the latest image. And I think the color you've chosen for your latest dolphin is by far the best. Not only does it give the sort of dolphin color but a glass appearance as well. That's a real nice image. @mermaid: Thank you. The lighting was a surprise after moving the camera closer. And it took a few starts/stops until I like the camera position. 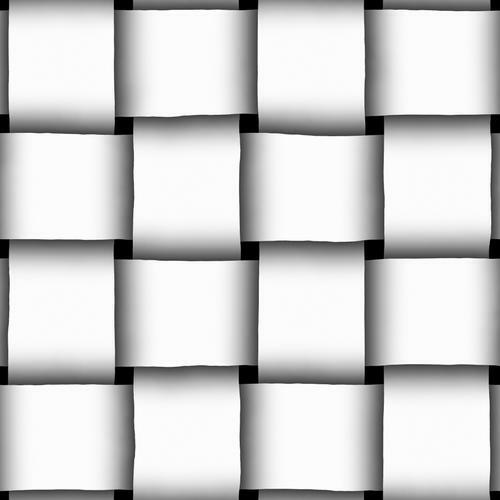 OK, no problem, I started with a repeating pattern that is a square. 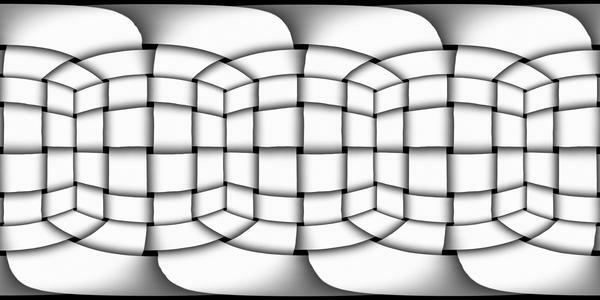 (first image) And built a cube out of 2D faces with each of these faces with this pattern on. This is the height map. This can then be spherically mapped onto the objects shown before. Grab the images if you want to experiment. The coloured image was produces in a similar fashion, but obviously involved a bit of colouring too. Dwsel...there's something about the specular effect (and diffusion effects, too) in works I like - think it adds something different to an image at times. Pardon my ignorance, but isn't stacking some sort of boolean too. I really need to go back to the basics.